Check. Done. Nailed it. You took a great stride in furthering your marketing strategy by requesting your custom branded AMP pieces from Senior Marketing Specialists. So pat yourself on the back… but don’t stop there. That ‘check’ was step one. Now is the time to integrate these marketing pieces into a strategy that will build your brand, your business, and eventually your bottom line. There are literally 1,000’s of places to get your newly designed pieces printed. If you need suggestions we have 2 tried and true suggestions below. If you don’t need help in finding a printer skip to the Implement stage below. Once you have chosen the marketing piece you wish to order (i.e. business card, postcard, etc.) select the “Use Your Own Design” option and upload the .pdf files provided directly into the template. Then simply select your quantity and finish and add to the cart. Tip: Before you submit your order make sure you are using a coupon code, you can save anywhere from 25-50% just by doing a quick google search for a coupon code. Located in Sedalia, MO, but prints and mails jobs nationwide. Can generally print anything if you send them the file and let them know what you’re needing. They even have the ability to mail out for you using your own list. 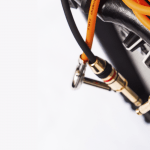 Now to put your AMP pieces to work. Newsletters and Medication Trackers are great to have printed and on the front desk or checkout counter at doctors’ offices and pharmacies. Network with your local offices and let the doctors and pharmacists know you offer help to Medicare age folks. Also a good piece to give all potential and current clients. Each time they pull it out of their wallet they will be reminded of you and the service you provided them. Tri-fold Brochures are a great go-to for all current clients when they receive their policy. It’s an easy lead in to the other products you offer and creates an easy cross-selling opportunity. You can also put your networking skills to good use and talk with local companies, senior centers, P&C insurance offices, etc. and see if you can set up Tri-fold holders in the waiting rooms of their offices. The Medicare flyer would be put to good use like the brochure, but it also makes a great mail insert. 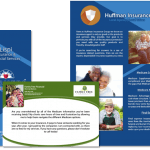 If you decided to mail out your newsletter you could include the Medicare flyer to give clients an additional piece specifically marketing you and what areas you can help them with. Finally, the Important Numbers Card, one of our most popular pieces, is great for printing on sticker’s or magnets. Stickers can be placed on the front of the folder they get during your presentation. Magnet’s for all current clients to put on their refridgerators. Make sure to give clients enough for all family members and caregivers so they can have your number if they end up in the hospital. 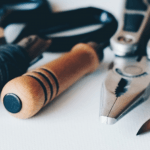 These are just a few ideas to put your new marketing pieces to work. To really get the most bang for your buck, get with your Sales Director to collaborate and brainstorm on additional marketing strategies. Just give us a call, we’ll be here to help.